Not too long, OnePlus introduced the all new OnePlus 3T but the handset shipped with OxygenOS based on Android Marshmallow out of the box. It was a little disappointing to see the handset comes with an older operating system when the latest Android 7.0 Nougat is available. Recently, it was revealed that the OnePlus 3T will get the Android 7.0 Nougat update by the end of this year, possibly next month. The same timeframe is announced for the OnePlus 3, which is also expected to get the update next month unless there are some known bugs which affects the performance of the handset. This is definitely a good news for people who are planning to purchase the OnePlus 3 when it launches later this month. 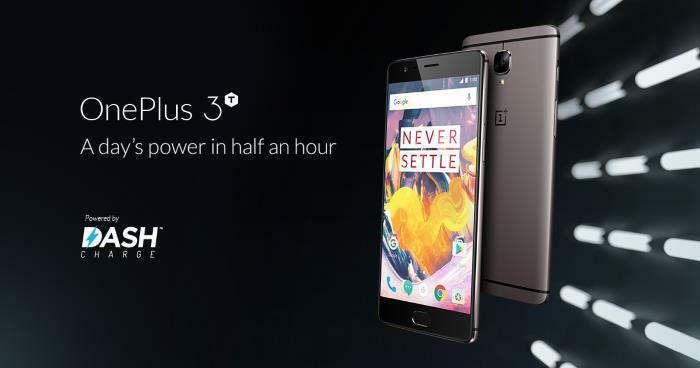 As for OnePlus 3, it is expected to get the beta version of the handset later this month. Furthermore, the company has onfirmed that OnePlus 3T will not receive the beta version this month, but it will be released for the handset next month in a timely fashion. Stay tuned, we’ll update you as soon as the Android 7.0 Nougat starts rolling out for the handsets.